A suspected drug pusher who peddled illegal drugs to foreign tourists was arrested by police after he was allegedly caught in the act of selling shabu in Panglao on Monday afternoon. 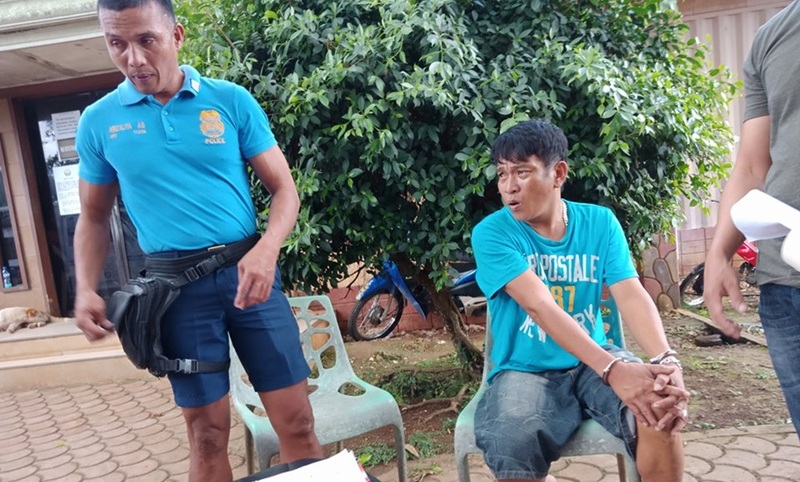 The suspect, Oliver Cuaco, 36, of Barangay Looc in Panglao was allegedly spotted selling illegal drugs to a Korean national. The illicit transaction was reported to the Panglao Tourist Police which in turn immediately deployed police officers to the scene. In a report, police indicated that the operatives trailed Cuaco who was spotted driving a tricycle in Barangay Danao, Panglao. The suspect however noticed the pursuing policemen prompting him to throw a pack of suspected shabu to the side of the road. Police were then able to catch up and accost Cuaco while the authorities also examined the object thrown by the suspect. Police were able to confirm that the pack contained white crystalline substance which could be shabu. Authorities said that the thrown pack contained six packets of suspected shabu weighing 0.80 grams with an estimated Dangerous Drugs Board value of P12,000. According to Police Inspector Romar Labasbas, Cuaco is included in the Panglao police’s drug watch list. The suspect was reportedly earning much money by peddling illegal drugs to foreign tourists in the town before he was arrested.